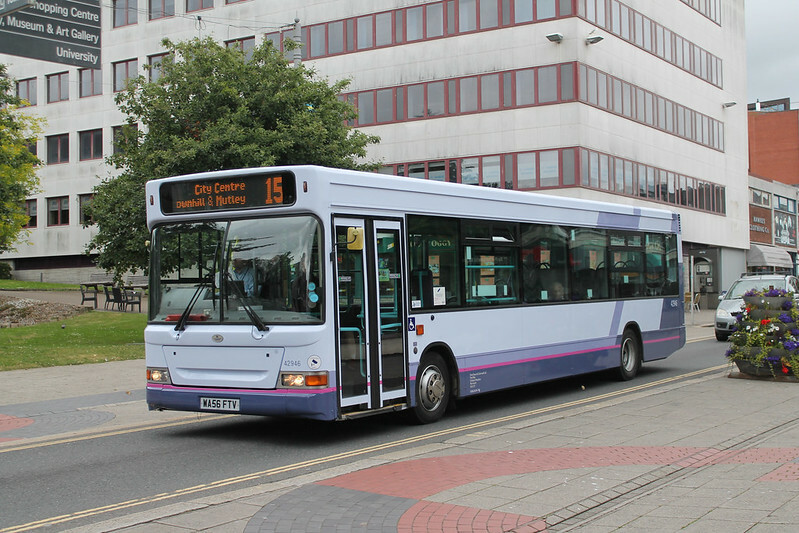 Its becoming increasingly clear that First are now on a roll with a repaint program. 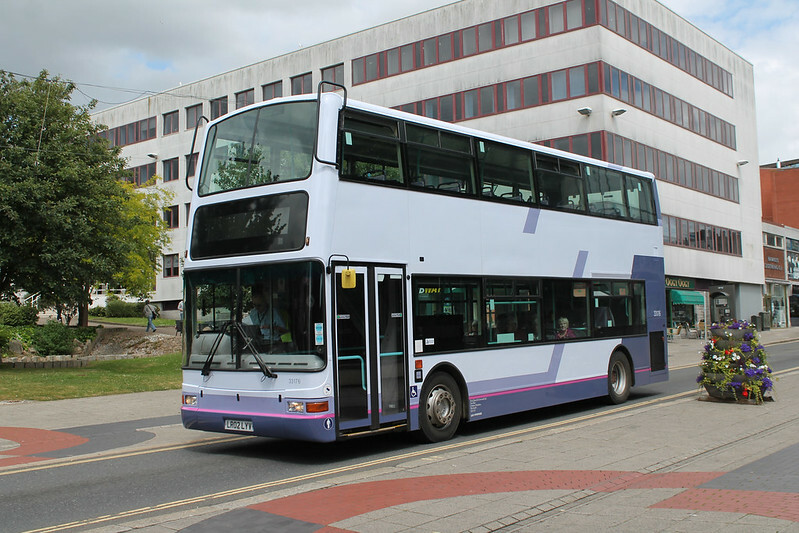 Two bus to receive ‘Olympia’ base livery are Dennis Dart 42946 and Dennis Trident 33176. Along with other recent repaints, no fleet names are carried at the moment so we will have to wait for the finished article. With 33176 coming out of Mayflower link livery, I suspect 33175 and 33174 will follow shortly. Anyone know which bus is in the Citybus spray shop and which ones are next? 483 currently, then likely to be more of the Tridents. No they won't. No vehicles are included in the sale. this would explain the lack of names on the recent flurry of repaints - presume most if not all will end up in Kernow straight after the takeover. 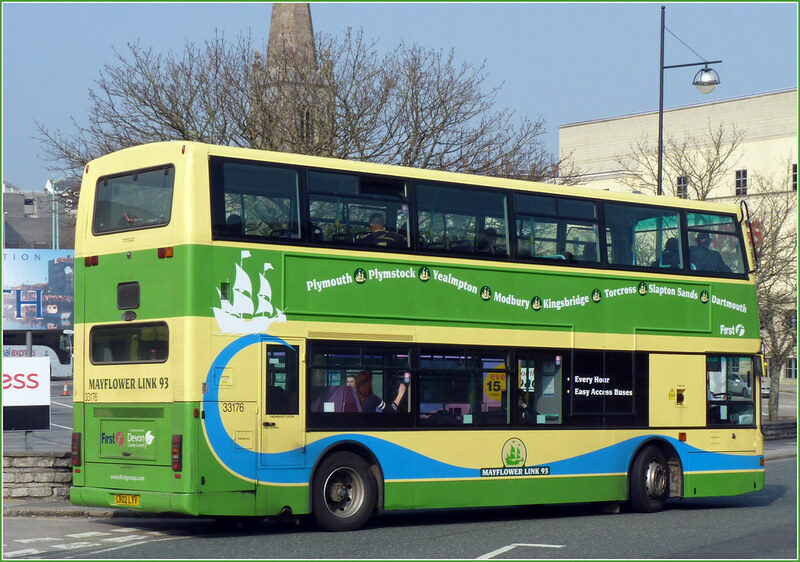 Stagecoach are very good at moving quite large fleets of buses around the country so I suspect an all stagecoach fleet with Enviros, Tridents and Solos will be drafted in from other areas. It also probably explains why the introduction of new Solo SRs in Exeter doesn't seem to have led to a mass cascade of older Solos.... some or all are probably earmarked for Plymouth. 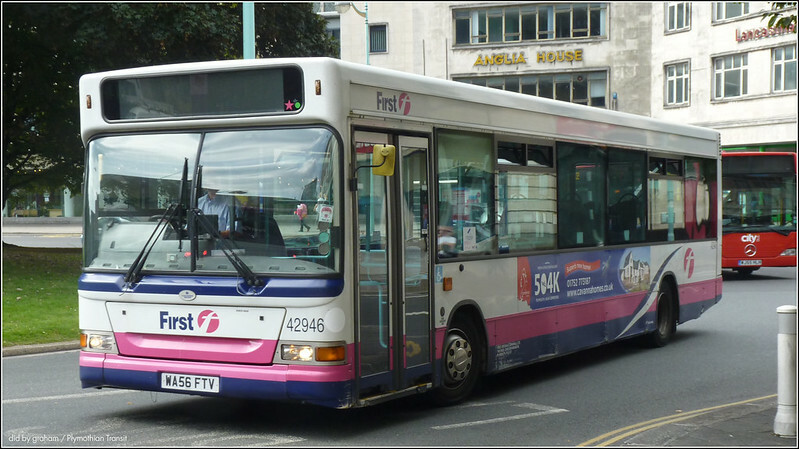 We know First Kernow is not for sale, who told you they were? Also I expect the majority of readers can't understand your comment anyway as it is poorly written. No surprise the rush of repaints is underway now the impending sale to Stagecoach has been announced.I must admit that the colour scheme is a bit like Marmite but it has livened up the debate over who likes it or not.It is a bit of a shame other areas will benefit from the repaints it seems to suit some buses than others and should have been undertaken a while ago some of the "Barbie" liveried buses were absolutely shocking! !